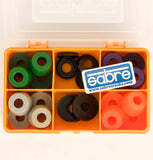 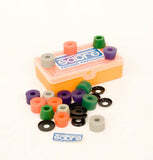 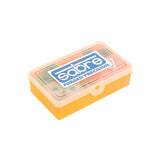 This is the "Carve" bushing box, which contains a mixture of cone and barrel shaped bushings, with washers to match. The Carve box is the one to go for if you are looking to create an all-round setup, or want maximum options open to you, as it contains a little bit of everything. There's very little you can't make with this one!